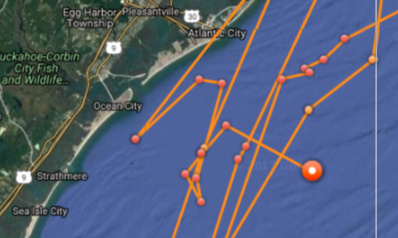 Much like the rest of the region, Mary Lee the shark can't seem to get enough of the Jersey Shore. The famous great white and Twitter celebrity – she has about 116,000 followers – has been hanging out near the Jersey Shore just about all week, which may be a little too close for comfort for Philadelphians planning on heading down to the beaches over the hot weekend. The 16-foot and nearly 3,500-pound shark has been tracked in the Atlantic Ocean between Ocean City and Atlantic City and close to Ventnor City in just the last 48 hours. Her last "ping" came in shortly after 5 a.m. Thursday morning about 15 miles off shore. "A 'ping' is determined when the tagged shark's dorsal fin breaks the surface of the water and transmits a signal to a satellite overhead," an OCEARCH spokesperson told NBC10. Judging by her path on the OCEARCH Global Shark Tracker, it looks like the shark is heading farther out to sea, though there's no telling where she might turn next. Mary Lee's Jersey Shore appearances have been quite timely recently. She was pinged right off the Cape May coastline over Memorial Day weekend as beachgoers flocked to the shore. 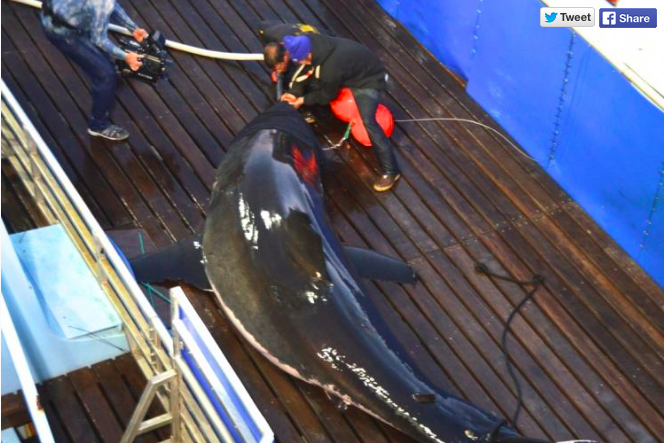 The shark was first tagged in Cape Cod in 2012 and has traveled almost 40,000 miles around the East Coast since. OCEARCH is using the information to better marine life research.